"As the air crisps after a long Indian summer, the trees of @prospect_park have embraced the change of season. We asked the photographer @gab to go out over the weekend and capture the colors of #autumninNewYork. 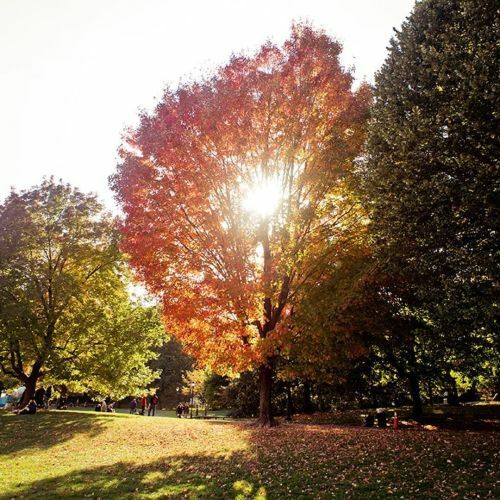 Now, we want to see your photos of #fallfoliage in New York City. Be creative: Show us a new angle on autumn — a photo shot from your window or the view from your roof. Zoom in on the details or capture the horizon. Post a photo along with the hashtag #NYTFoliage. We'll be collecting some of our favorite photos. #NYTFoliage #🍂🍁🍃" By nytimes on Instagram.